Bob Cesca blogs the reason, but the chart says it all. 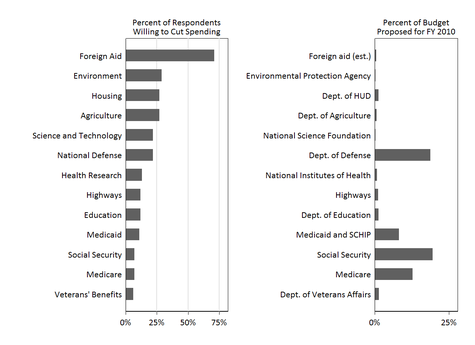 Wingnuts think we spend a lot of money on foreign aid. When you tell them it's peanuts, they accuse you of making up numbers. But then, they get almost everything wrong, all the time, anyway. And whatever they get right, Glenn Beck just lies about. Fox is wrecking America. Kill it. Posted in Economics, Federal Budget.